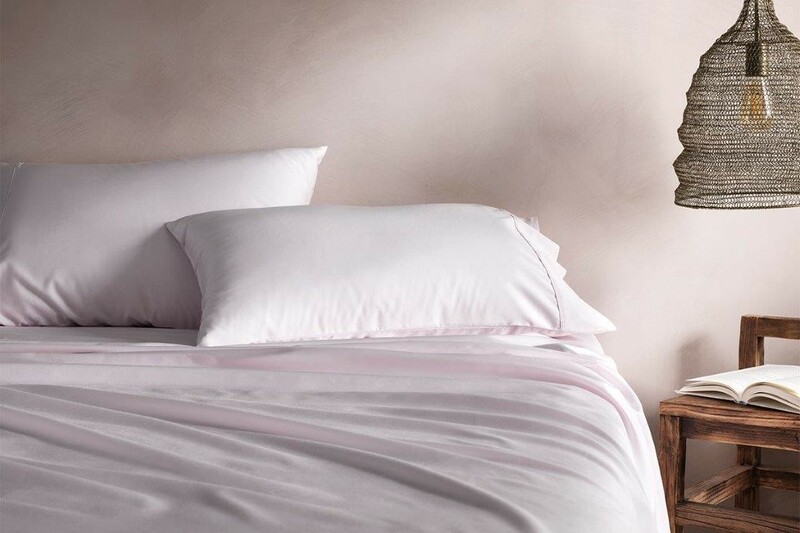 Super soft and perfect all year round, this sheeting collection combines TENCEL™ branded Lyocell with cotton. With a reputation for sustainability, TENCEL™ branded Lyocell is an eco-friendly fibre. This impressive fibre is also highly breathable and temperature regulating, allowing you to stay cool in summer and warm throughout winter. To create a more luxurious sleep, we combined lustrous Tencel™ branded Lyocell with the finest quality long-staple cotton to enhance the inherent qualities of each fibre. These long-staple cotton fibres ensure a superior weave for stronger sheets with minimal pilling. This pairing offers the best of both worlds with a luxuriously soft hand-feel, superb sheen and natural breathability. Sheet sets are a 500TC and includes a fitted sheet, flat sheet and two standard pillowcases. Sheets can be tumble dried for easy care.